You spend a lot of your life in the office. According to some surveys, American workers spend more time with their coworkers than with their families. So it makes sense that your job should be uplifting and rewarding–or at the very least, not make you miserable. Part of what makes a job a good fit is the culture of the company. Culture can mean different things to different people. But ultimately, we’re talking about the interactions and experiences that employees encounter daily. What are they like? Are interactions peaceful and calm? Is there an expectation of accountability? Is it gossipy and back-stabby? Does leadership practice what they preach? When you’re interviewing for a role, you’re also trying to decide if the company is a good fit for you. Does it align with your values? For example, if you value work-life balance, then a company that demands 60 hour work weeks is probably not a good fit for you. 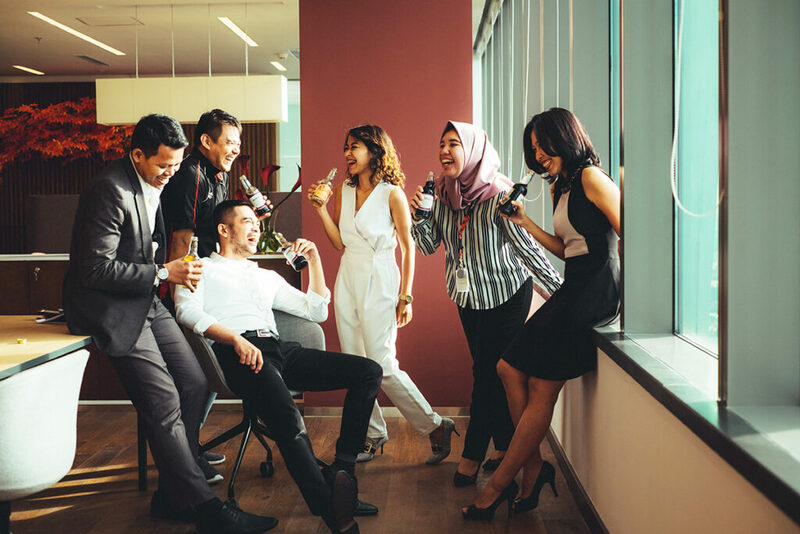 On the other hand, if you’re young and in a new city, a company that encourages coworkers to behave like family members might be an excellent opportunity to find your community. The tricky part is asking the right questions to ferret out this information. Asking vague questions like, “What’s the culture like here?” won’t often get you what you want. After all, culture means different things to different people. Plus, your interviewer might have different values. He may focus on elements of the culture that matter to him, but don’t matter as much to you. Instead, ask focused questions that unearth what you want to know. When was the last time you took vacation? Is it common for people to come into the office if they’re sick? How often does the team go out for happy hour? How often do you get emails after 6 o’clock? What happens if you don’t respond until the next morning? Asking direct questions like these can help you get a feel for how the company or team balances life and work. If your interviewer doesn’t take vacation or hasn’t in a long time, that could be a sign of overwork. (This depends, though–this question is most insightful at companies with “unlimited vacation” policies, so context is king, here.) If you find out your coworkers frequently get urgent emails or phone calls after hours, that could be a sign that boundaries are flexible or not respected. Do you have a Chief Diversity Officer? What’s the breakdown of men to women overall? How about in leadership positions? What is the company’s/team’s plan for bringing on more underrepresented talent? Can I get a tour of the office if that’s convenient/possible? If you don’t feel comfortable asking direct questions about diversity, you can always ask for a tour and see for yourself. You might not get one–lots of offices are funny about that–but it won’t hurt to ask. I’m using the term “office dynamics” as a big umbrella. You might want to understand how cooperative people are, or how likely they are to give credit, or how likely teams are to ask for help. Asking questions that help you understand relationships between and among people in a workspace can be a handy tool in your interview toolbox. Do people tend to work alone or is there a lot of collaboration between individuals and teams? How well do teams get along? Are there issues with ownership and accountability that are pervasive? What collaboration tools do you regularly use? Do people usually hang out after work? Do they eat lunch together? What’s the mood like on Friday afternoon? Getting your interviewing to comfortably answer these kinds of questions can be tricky. Make sure you’re not putting him on the spot. If you notice a shift in body language, a frown, shifty eyes, etc., maybe back off a bit and throw him some softballs. Not everyone is comfortable talking about culture, but the more information you can secure, the better prepared you’ll be to make a decision.